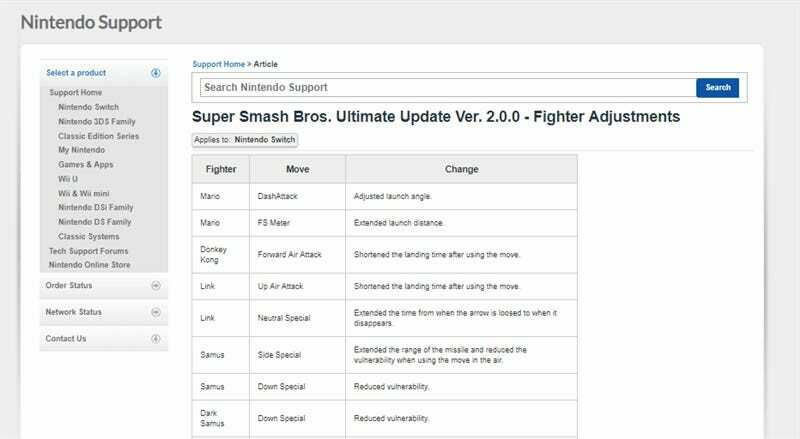 Nintendo’s patch notes are notorious for saying pretty much nothing. So the latest Smash Ultimate update—which also marks the release of Piranha Plant—contains a nice surprise: a lengthy and detailed breakdown of everything that’s changing, down to each fighter’s specific tweaks. The 2.0.0. patch notes can be found in full here, and really are enormous. Every alteration made gets its own spot, even when there are multiple changes being made for the one character. It’s the kind of thing that’s super useful to know, whether checking up on your main or just browsing to see exactly what’s been tweaked for a certain character if something feels just a little bit different. Please, Nintendo, more of this!